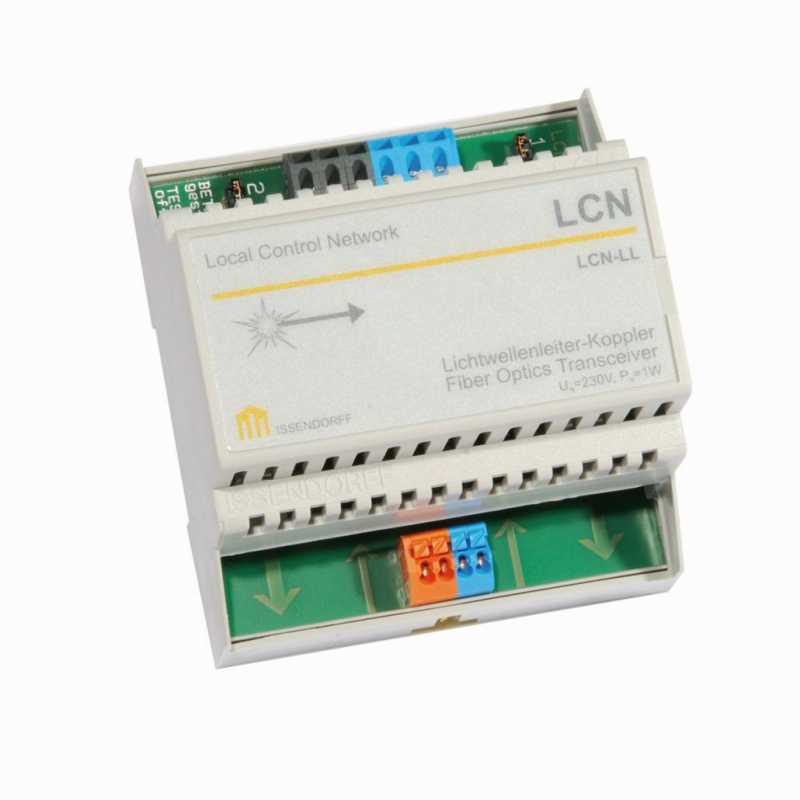 The LCN-LLG is the glass fibre optic LWL coupler for the LCN bus system. It is used as a double transceiver module and has connections for the LCN two-wire bus and the fibre optics cable. As it does not have its own processor, setting of the parameters with the LCN software LCN-PRO is not necessary. The fibre optic LWL coupler LCN-LLG is used for the connection of spatially-separated LCN buses within an LCN segment within a range of 2 km. With the LCN-LLG single building areas are connected with each other so that communication among all LCN bus modules is possible.